Reverend Owusu Bempah explained that the real son of God is called Yeshua Hamashiach. 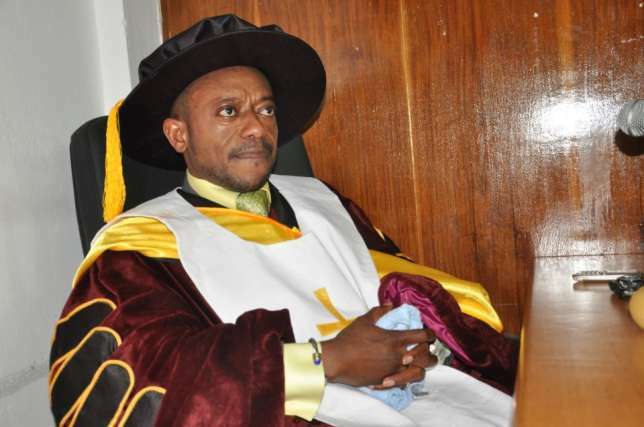 Controversial pastor, Reverend Owusu Bempah has sparked lots of controversies in Ghana, but hardly did anyone imagine that he would have the effrontery to extend hisbravado to questioning the status of Jesus as the son of God, and by extension the leader of Christianity. The Leader and founder of Glorious Word Power Ministry International (GWPMI), is reported by mynewsgh.com as having said on Kofi TV that Jesus Christ is an imposter and not the actual son of God. “The son of God is not called Jesus Christ. He is called Yeshua Hamashiach. The name Jesus Christ was given by Constantine gave that name to Yeshua Hamashiach. Yeshua Hamashiach was given birth to by a woman on earth and was crucified by Plato and rose from the grave the third day into the skies with the hope he will return same as prophesied by angels. He is called the Lion of the Tribe of Judah. Jesus Christ is not the name of the son of God. There was this man who came called Nero who was killing the followers of Jesus Christians who were not even called Christians but Nazarenes. He could feed them to lions and other dangerous animals but their numbers increased”, claimed Owusu Bempah on Kofi TV. Jesus Christ is known and recognised by Christians globally as the son of God and for that matter, the leader of Christianity. If the man of God has now realised that he has been an imposter all along, it is unclear whose name he will uphold henceforth as he continues to practice as a man of God. One can only wait to see what response his claim will engender from other men of God and Christians across the world.